Secondary, or functional, mitral regurgitation (MR) occurs with impaired coaptation of structurally normal valve leaflets due to abnormal structure and/or function of the left ventricle (LV). A leading cause of functional mitral regurgitation is ischemic cardiomyopathy, resulting in left ventricular dysfunction and subsequent congestive heart failure (CHF) and ischemic mitral regurgitation (IMR). The value of surgical or transcatheter correction of IMR remains controversial, since the underlying pathology of IMR is attributed to a dysfunctional left ventricle. However, even mild IMR has been shown to be harmful to CHF patients, as IMR is both a surrogate of advanced CHF and an independent contributor to CHF morbidity and mortality. While observational and randomized studies have examined surgical treatment of IMR with conflicting outcomes, additional well-designed randomized controlled trials should be performed to further clarify the optimal treatment for IMR. Additionally, close attention should be paid to the quality of interventions performed, as durable reduction in IMR provides the best hope of a positive clinical outcome. This review focuses on the pathophysiology of IMR, current evidence regarding surgical and transcatheter interventions, and future directions in management of IMR. Alexander Brescia is supported by the National Institutes of Health National Research Service Award postdoctoral fellowship (No. 5T32HL076123). 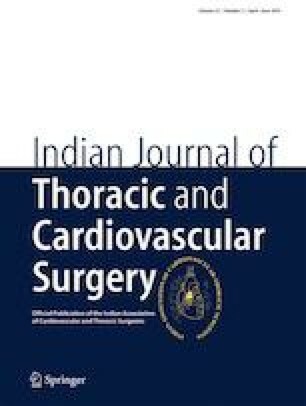 A Clinical Evaluation of the Safety and Effectiveness of the MitraClip System in the Treatment of Clinically Significant Functional Mitral Regurgitation (Reshape-HF2). Available from: https://clinicaltrials.gov/ct2/show/NCT02444338. ClinicalTrials.gov Identifier: NCT02444338. Accessed 23 Dec 2018.